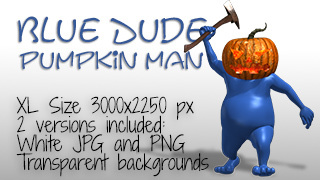 Blue Dude is scary Halloween pumpkin man with axe. Blue Dude is a series of 3d images. The illustration comes on white and transparent background. The tranparent image is in png format and the white is in jpg format. 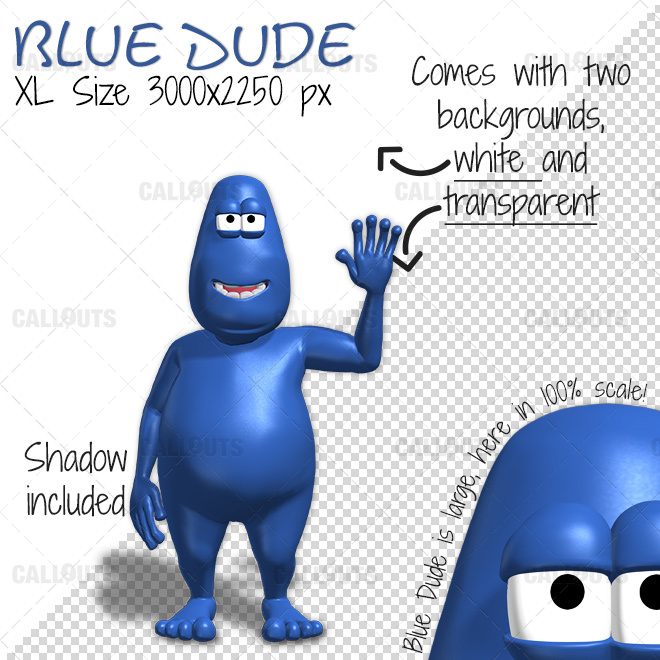 Paste Blue Dude into your Word documents, Powerpoints, reports etc. or use it as a stamp in Snagit, a callout in Camtasia or most other video editors.